This morning I decided to take advantage of the sun peeking out behind the clouds by doing one of the infamous London Walks. I think I got my Vitamin D for the day, though by the end, not going to lie, I couldn’t feel my extremities. Spring has not yet sprung in the land of London. 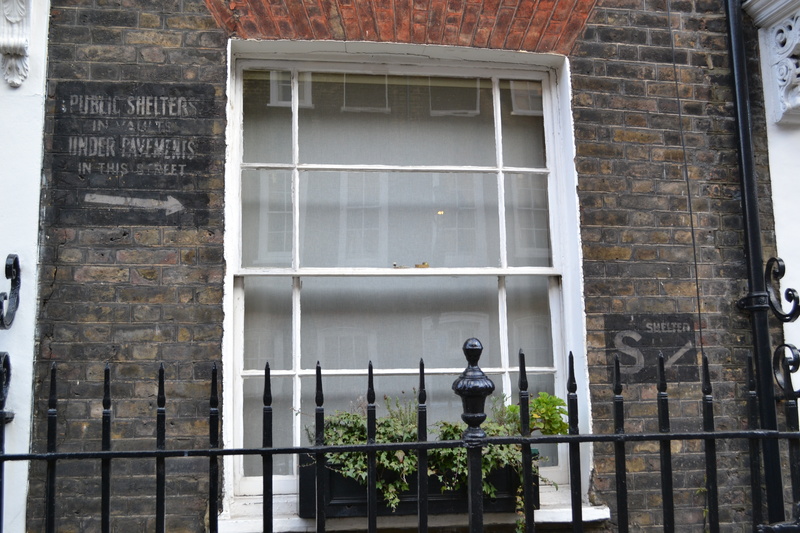 The ‘Old Westminster – 1000 Years of History’ walk is one I’ve been meaning to do for a while, mainly because I wanted to know more about my work neighborhood. The area is such a head-scratcher – one minute you’re being swept along in a sea of DSLR-toting tourists, and the next you’re in veritable silence, framed by the most picturesque block of Georgian flats you’ve ever seen. One of today’s discoveries in particular underscores how many bits of history London has hidden in plain sight for anyone to find. Our guide Graham took us down Lord North Street, off Smith Square – a road I’ve wandered down many times on my lunch break. 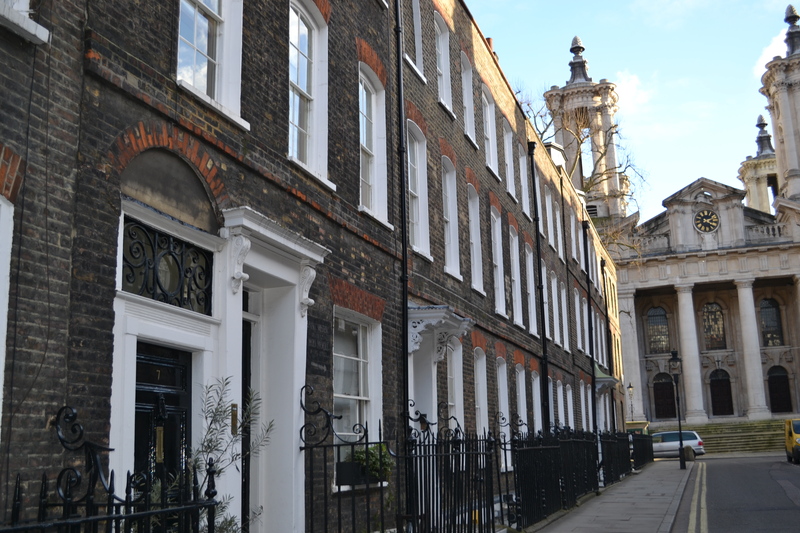 On the right below, you can see St John’s, which Charles Dickens described rather hilariously as ‘some petrified monster, frightful and gigantic, on its back with its legs in the air’. Hahahaha. Sorry St John. Today, this person’s flat/potted shrubs marks a vault that used to double as an air-raid shelter during the Second World War. Just your casual WWII remnant, hidden around the corner from the office. A reminder to keep my eyes wide open (and that however stressful my day, I can thank my lucky stars that the only use this site has today is acting as someone’s basement). This entry was posted in Uncategorized and tagged bomb shelter, Georgian, history, London, London Walks, Smith Square, St John's, Westminster, WWII on March 3, 2013 by CatherineTs. I took this walk one evening of April last year and my hands almost fell off – it was so cold! But totally worth it, to this day it’s one of my favourite walks. I love the sudden quietness that comes with turning a corner. It’s like stepping into a different world altogether. that’s it exactly – it’s so unexpected! also feels like you’re in a bit of a time warp since everything’s been so well preserved. and haha i swear if it’s like this until April my fingers won’t make it through (terrible Canadian that i am). I work just round the corner from Lord North Street and I’ve never seen this – further proof that London is full of lots of quiet secrets! I’ll look out for it next time I walk past. Haha crazy, isn’t it! There’s a few of them along the road…you’ll have to let me know if there’s anything else I may have missed! Now I have to do this walk!